A delicious and trendy take on a sandwich. 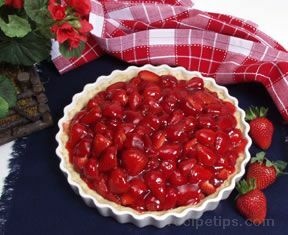 Balsamic vinegar goes perfectly with strawberries, just be careful not to over do it. 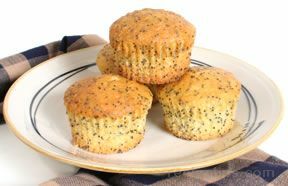 Make this healthier by using light English muffins and fat free cream cheese. 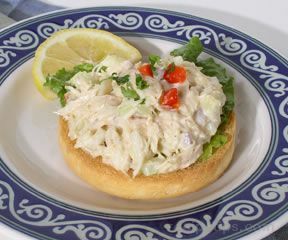 Spread both sides with cream cheese. 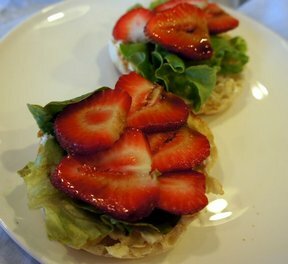 Top with lettuce and strawberries. Drizzle with balsamic vinegar.